The Cleveland Indians have bucked all expectations this year, demolishing all American League competition to win the pennant. And look, Cleveland probably deserves it—the Midwestern city somehow managed to weather the Republican National Convention. The team’s success has trickled down to help local businesses, as well as inspire even Charlie Sheen. 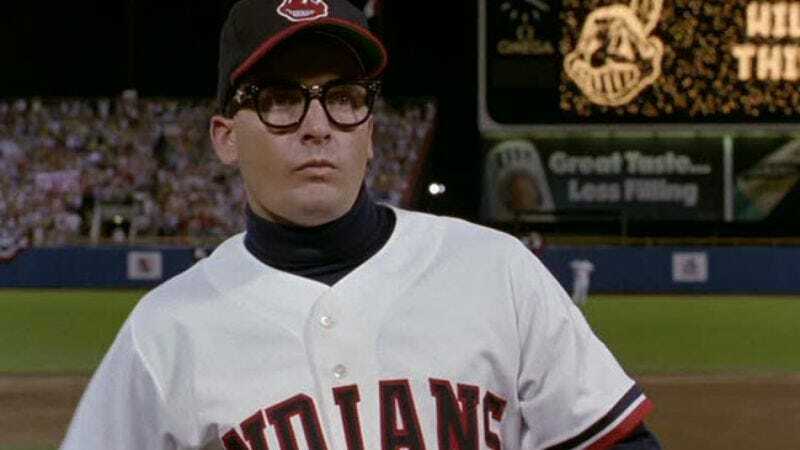 CBS Sports reports that the actor is ready to step back into his unofficial Cleveland Indians uniform, which he donned for two Major League films. The former Two And A Half Men star gamely offered to throw out the first pitch at one of the World Series games, you know, assuming he has the time between angry/lovable man-child projects. Then, as if that weren’t enough, Sheen tweeted that he’d reprise his role as Ricky “Wild Thing” Vaughn, should the team need the moral support of a fictional character who initially struggled with his pitch. Cleveland (the team and city) has yet to respond.